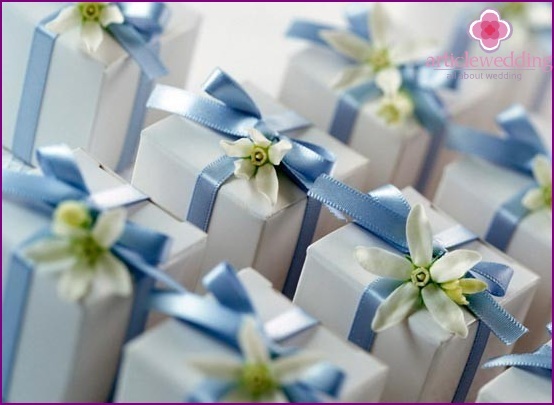 Home>Wedding preparations>wedding accessories>Guests must not remain without a gift! 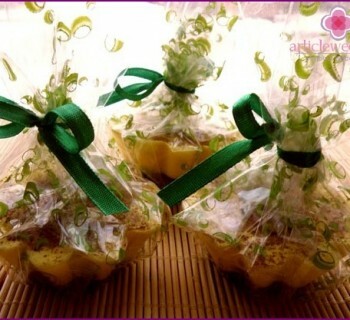 You have a wedding soon, and choose gifts for guestsyou forgot. Or have not found a suitable alternative. Most importantly - do not despair, says www.articlewedding.com portal. Bonbonnieres It can be done quite original, if you approach the matter responsibly. However, we move away from it and look at other options for gifts. To each according to your present! 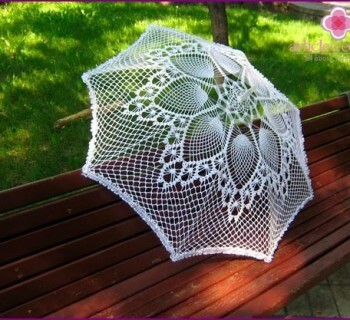 If you have a wedding designed for smallthe number of visitors, say 30, you can not be lazy and make each a small gift, wrapped in a pretty box. Of course, this would also require time, patience and the cost, but win original gifts on the background of the banal, the same sweet dishes, in which there is no raisins. To start, you need to find out preferencesyour guests. It does not force you to work hard, as you know them, you've seen how they dress, and may know their tastes. Very often, the couple give their guests the figures are small, they put in place a guest at the table and fastened them to the card with the name and surname of a guest. 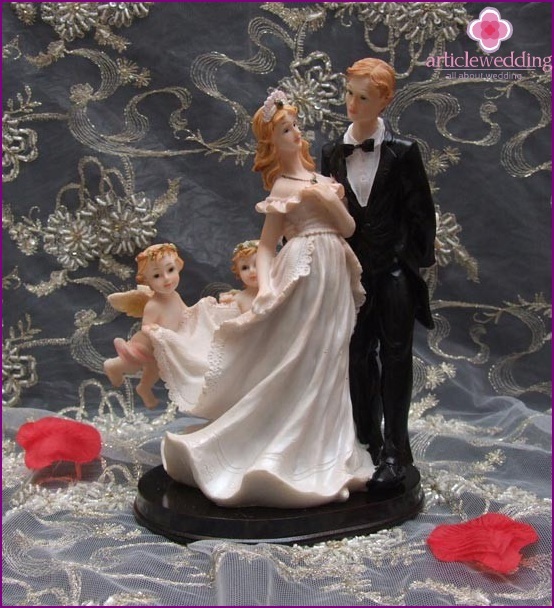 Figures will not only play the role of a gift, but also will be spectacular decoration of the wedding hall. Selection of figures is huge, so you can give everyone different. Examples of these figures are: animal angels, birds, and the figures themselves young. Despite the number of guests you can think oflots of ideas. 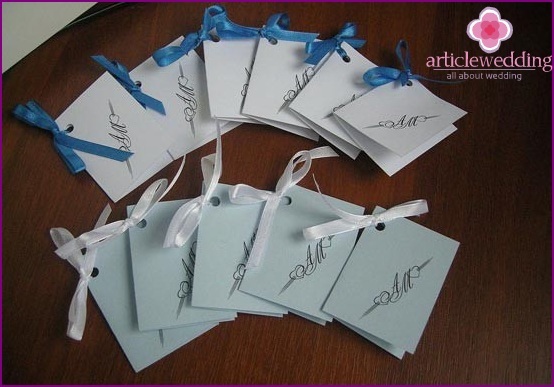 For example, guests are handed the envelopes in which letters are enclosed with the cards of small size, in which the couple wrote personal gratitude to the guests (each different!). This may be the usual postcard with a picture of the bride and groom, wedding rings or postcards in the form of hearts. Also, young people can donate disk that contains videos or pictures into one movie. Like any gift - a movie disc is prepared in advance. Another original gift for guests - aquariumgifts. Especially if you organize thematic wedding in a nautical theme! Preparing the aquarium in such a way. All gifts are packed in plastic bags and sink to the bottom of the aquarium. Of course, there should not be any animals. And then, when we all gathered, you can declare a fishing trip. Each guest should reach his cherished box. You might like cartoon version. 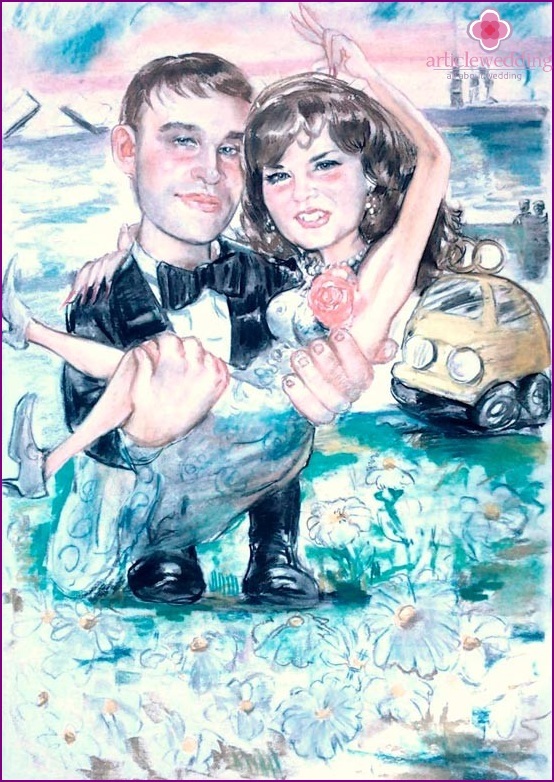 Invite caricaturist for the wedding and during the banquet he draws each of the guests. Then all these drawings are dealt invited guests. You can also take the presents and put them inballoons, balloons fill the gel and bind to a chair person. Next you need to put an envelope with a needle, and in the end the triumph of each guest must burst the ball and only if he learns that the couple decided to donate. In fact, there is still a lot of ideas that youYou can bring to life. Present guests with two glasses, in which the bride and groom will be displayed. An interesting gift will be - a candle, which is located inside, for example, a pen with the image of young people. At the beginning of the celebration can be put next to each guest a candle, light it up and let the end of the event guess they decided to give the bride and groom. You can choose to give as gifts, and utensils, such as forks. Also, if we talk about a small figure, they can be frozen and then served in glasses with a drink. Even a small cube of wood can be represented as the original - give its guests a nominal die. Wedding - this is not a simple event. The bride and groom need to consider the fine details in preparation for the wedding. 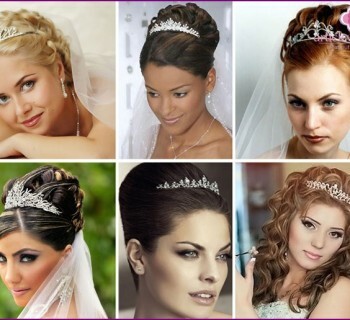 Starting with the choice of dress and ending ceremony: where it will be held, what style is, what to give to guests. Many useful you can read on the site www.articlewedding.com.